If you want to get rid of the creepy Halloween costumes, then mask yourself with the Super Chicken mask with feathers! 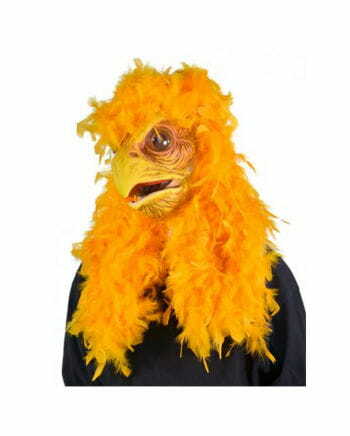 The bird's mask decorated with magnificent feathers makes you a yellow joker at every carnival & halloween party! Warning: This item is a costume accessory for adults and is not a toy. Not suitable for children under 12 years. Can contain small parts that can be swallowed - danger of suffocation. Keep away from fire and open flames. The article is handmade - each mask is unique.